TEL AVIV — Palestinian journalist Abed al-Bary Atwan, editor-in-chief of the electronic publication Al Rai Al Youm, which maintains connections with senior Hamas figures and senior Iranian officials, has written an analysis in response to comments from Hamas’ leader in Gaza, Yahya Sinwar, about Iran’s support for Hamas, saying that Hamas has decided to return to the “axis of resistance” led by Iran. In a ceremony held in Gaza on Monday, Sinwar said that his movement has fully restored relations with Iran. He described the Islamic republic as the biggest political and financial supporter of Hamas while saying that Iran’s support and relations between the two sides are of strategic significance. According to Sinwar, this support is critical to arming Hamas’ so-called military wing ahead of a future confrontation with Israel. He claimed that the movement doesn’t seek confrontation, but is preparing for it and is unafraid. At the same time, he noted that Hamas-Syria relations are still expected to encounter more than a few difficulties despite mediation efforts by Iran and Hezbollah in light of the feeling among Syria’s leadership that Hamas opposed the ruling regime at the beginning of the Syrian civil war. Atwan noted that the change in Turkey’s approach to the Assad regime may also have an effect on the improvement of relations between Hamas and Syria. He concluded that Hamas’ leadership has succeeded in improving its relations with Egypt as well, is using the internal divisions within Fatah to its advantage while maintaining its relations with Iran and has not yet lost its relations with Saudi Arabia and the United Arab Emirates. Arab media has reported that Hamas-Iran relations are quickly advancing and have improved dramatically. 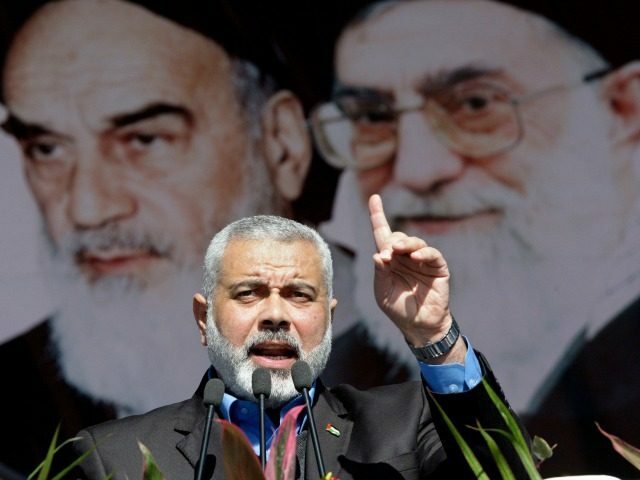 Breitbart Jerusalem also reported last month on the strengthening relations between Hamas and Iran and Hezbollah’s mediation between the two sides. Hamas military official Saleh al-Arouri participated in these meetings and led a delegation that participated in the swearing-in ceremony of Iranian President Hassan Rouhani. In March, Breitbart Jerusalem reported that a financial crisis had forced Hamas to turn to Iran.